UPDATE: I was just told that the datasheet is incorrect, for that reason I removed it. In October AMD is planning to launch at least three models: Radeon R9 290X, R9 280X and possibly R9 270X. 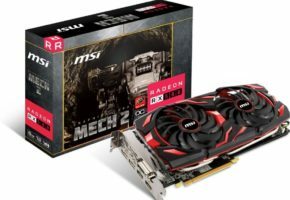 “AMD has just announced their new GPU architecture, MSI is ready, are you? It doesn’t take a genius to guess that the picture is probably showing the new R9 models. In fact they are. 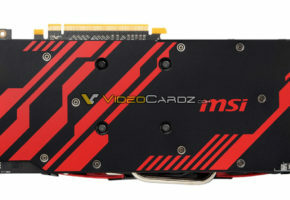 The card in the background is probably MSI R9 270X Hawk. Notice only one CrossFire connector. 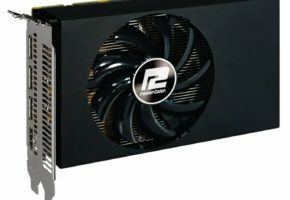 Unfortunately we don’t have anything official about the 270X other than the basic 2GB memory information (and the $199 price). 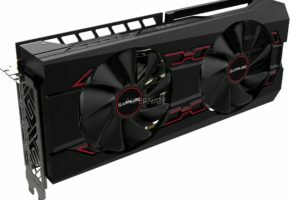 What is somewhat confirmed though is that the 270X is using Curacao XT GPU, which is technically a Pitcairn with a new name. 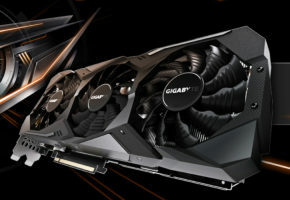 This card will have 2GB GDDR5 memory, possibly with 256-bit interface, as suggested by OCUK administrator. This would obviously confirm the use of Pitcairn (which has 256b memory controller). The card in the foreground is the same card you can see in the datasheet. Only the datasheet picture is slightly different (somebody didn’t update it apparently, looks more like GTX 760). Just as I told you, the R9 280X is almost exactly the same card as Radeon HD 7970 GHz Edition. 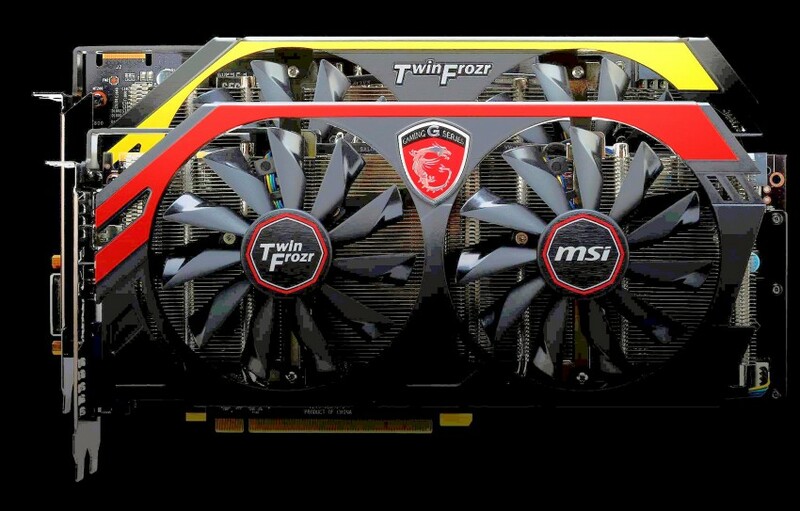 The R9 280X will be the first Tahiti-based graphics card from MSI Gaming series. I said almost because R9 280X does not entirely have the same specs as 7970 GHz Edition. In fact this is a mix of GHz Edition and the older model of 7970. The MSI R9 280X is clocked at 1000/1050 MHz, which is exactly the clock speed of a reference 7970GE. The main difference is the memory clock, which is lower and it operates at 5.5 GHz, making it 500 MHz slower than HD 7970 GE. This is quite surprising. Although please consider that the datasheet could be showing a preliminary data, don’t be surprised if the memory clock is actually higher. Moving on to GPU. I can confirm once and for all that R9 280X will use Tahiti XT GPU, with 2048 Stream Processors, 128 TMUs and 32 ROPs. This is pretty much what I’ve told you for the past week. Of course I can also confirm there is 3GB GDDR5 memory on board, which is tied with 384-bit interface. The R9 280X Gaming is equipped with Twin Frozr IV cooler with two 10cm fans, made with Propeller Blade technology. Since this is a premium piece of hardware it will make use of Military Class 4 components. 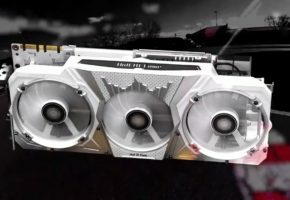 According to the whitepaper MSI 280X Gaming will be equipped with two 8-pin power connectors, with a total dissipated power measured at 253W. Card is equipped with two mini-DisplayPorts, HDMI and DVI-I (note: either datasheet is wrong or the picture in it). 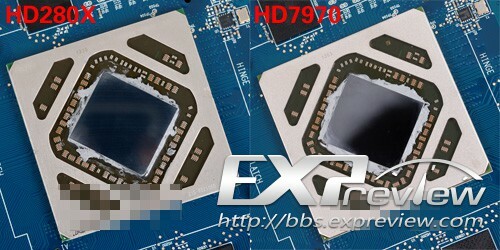 It is unknown yet when R9 280X will be officially introduced. By the way, this is the R9 280X GPU versus 7970 GPU (source).